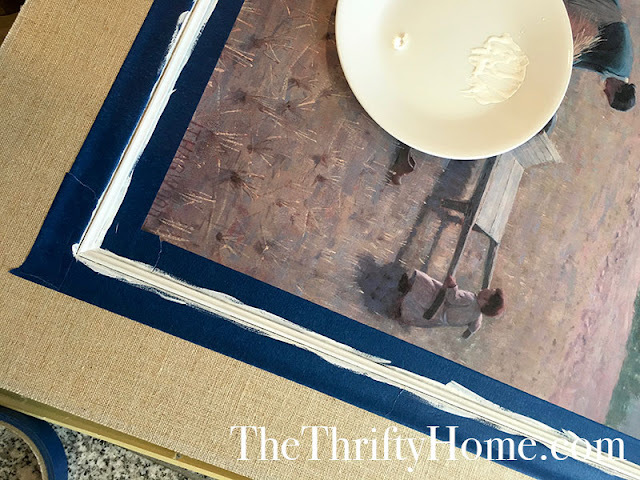 One of my favorite ways to save money is to paint old picture frames. 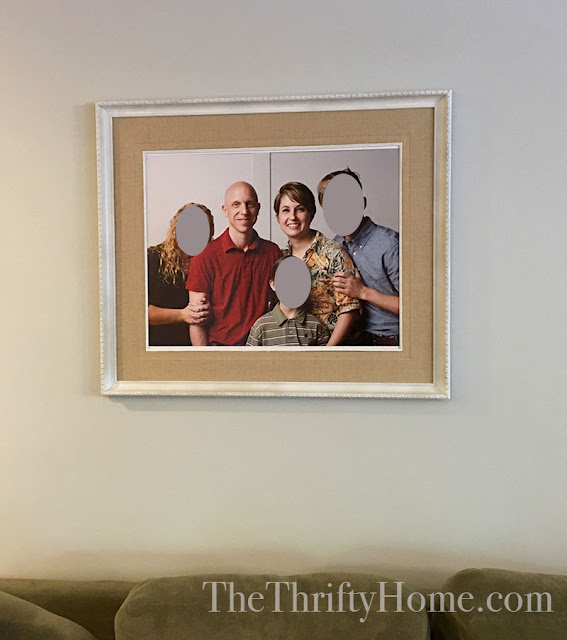 I had been saving this super large 30"x40" frame I got from my grandma's house and finally found the perfect use for it. After years of procrastinating, I got my family all together for a family photo (teenagers complicate things so much). All of the whining and complaining during the process reminded me exactly why I had procrastinated so long, but it was all worth it. 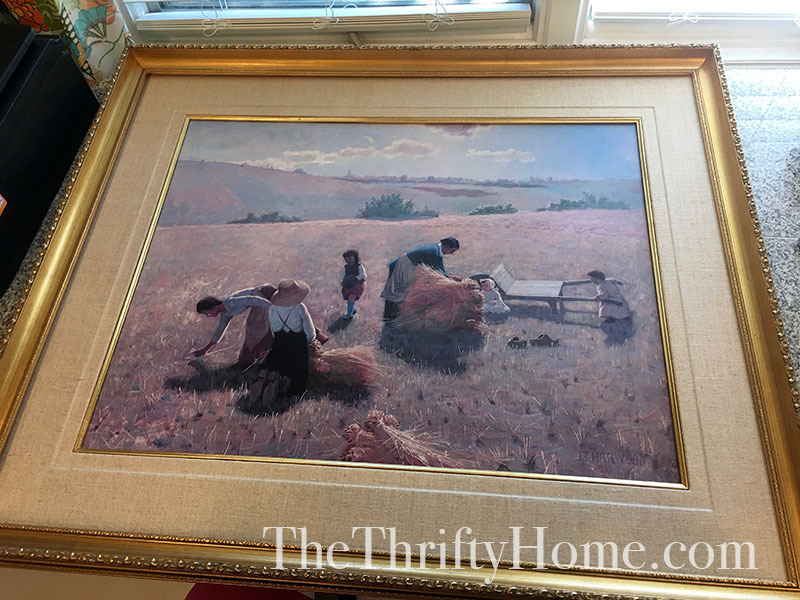 The matting on this frame is super awesome with fabric and wood trim. I carefully painted the gold trim on the inside and spray painted the frame white. As I was cleaning the glass to place on top, it broke. I'm currently trying to convince myself that it is better without the glass because there is a big window in the room that would cause a lot of glare. It's better without glass, right? Ugh, I'm so bummed right now. You know that feeling of satisfaction you get at the end of a completed project when it all comes together? The part that makes all the work worth it. Yeh, I didn't get that at the end of this project, but I finally have an updated family photo on the wall. I'm trying to convince myself that I would have purposely left out the glass even if I didn't break it. No glare this way, lol. Thanks for the party! Have a great week, Jennifer!